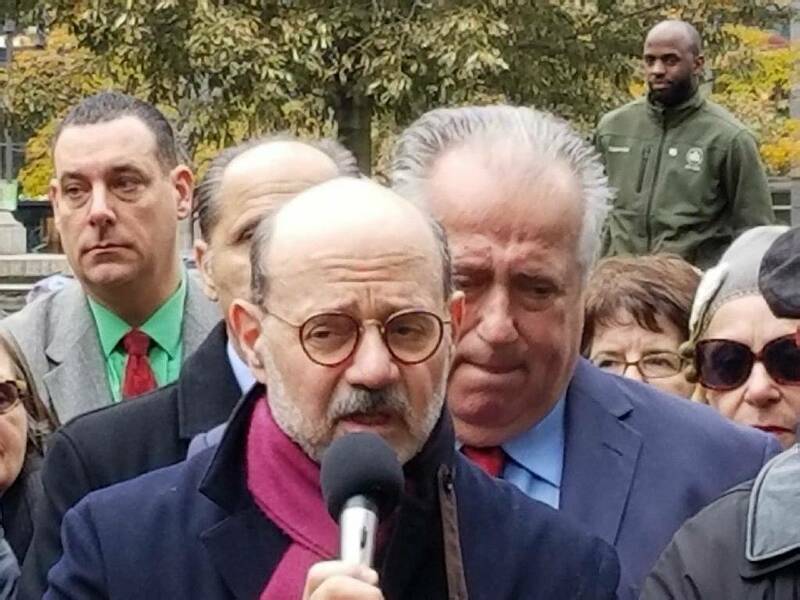 The protest took place behind the statue on the southwest corner of Central Park and was called for by “The Christopher Columbus Preservation Coalition,” which sent Mayor de Blasio a letter on behalf of hundreds of thousands of New York Italians. 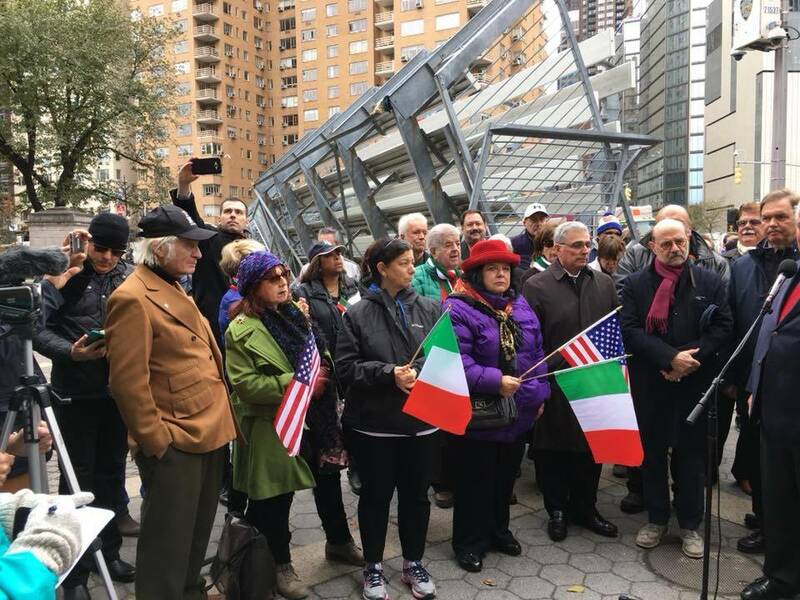 In the note addressed to de Blasio, the Coalition asserted that they have the backing of fifty of the largest Italian-American and religious groups, whose goal is to display unity by leaving the statue of the Genovese explorer intact, as is, in the middle of a major junction in Manhattan. The goal is also to protect the traditional Columbus Day Parade. Protesters got heated when the Mayor was defined as “a fake, who doesn’t know his own values.” His silence regarding the parade detracts from the pride that he loves to show when he remembers his Italian origins. The Coalition reminded de Blasio that according to a survey conducted by the Marist Institute for Public Opinion, a majority of New Yorkers prefer keeping Columbus Day. “We absolutely support the designation of an Indigenous Peoples’ Day, but not to replace Columbus Day,” the Coalition pointed out to de Blasio. “The Italian-Americans are united around this controversy. 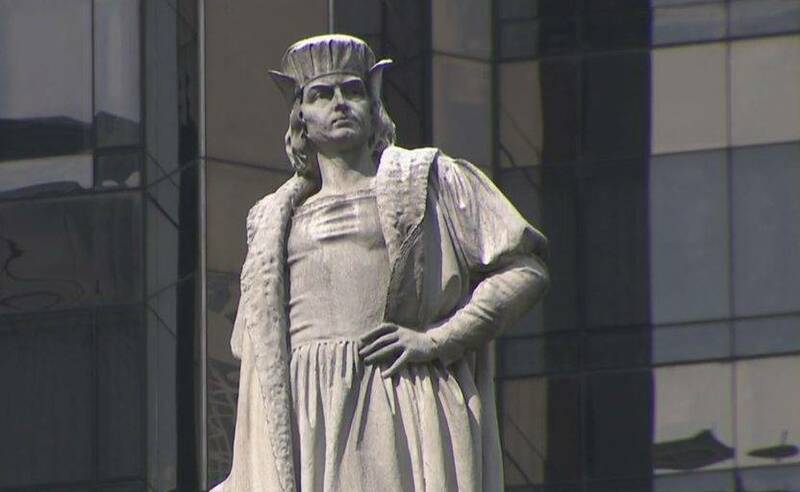 They don’t need a commission to evaluate Christopher Columbus, what he did, or the statue of him,” proclaimed Angelo Vivolo, president of the Columbus Citizens Foundation, which has been organizing the traditional parade for 73 years. 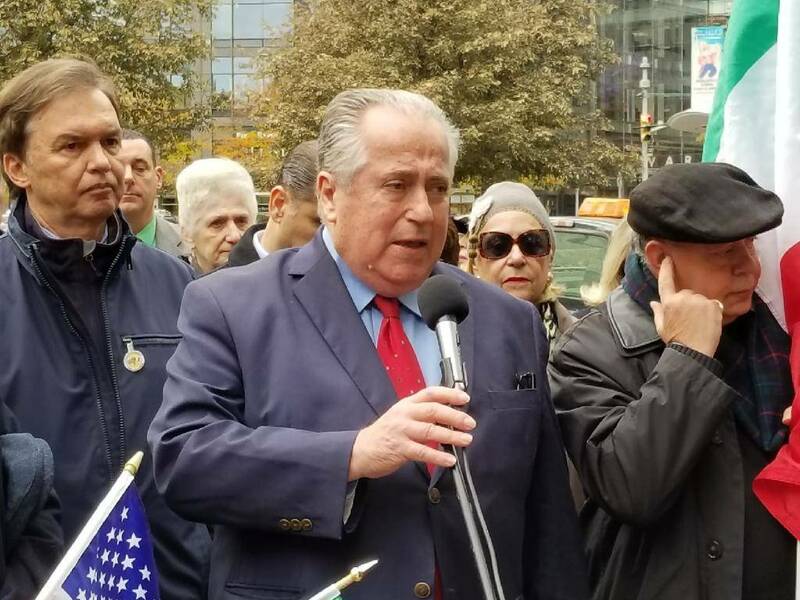 Joseph Scelsa, director of the Italian American Museum on Mulberry Street, explained that the rally is intended to show the Mayor the values and unity of the Italian New Yorkers regarding the statue dedicated to Columbus. He also expressed support for maintaining the Columbus Day Parade. “The Mayor,” Scelsa affirmed, “should never have nominated a commission, period. He also needs to understand that Columbus represents the Italians in America. Nobody is perfect, but he opened the western hemisphere to the world. 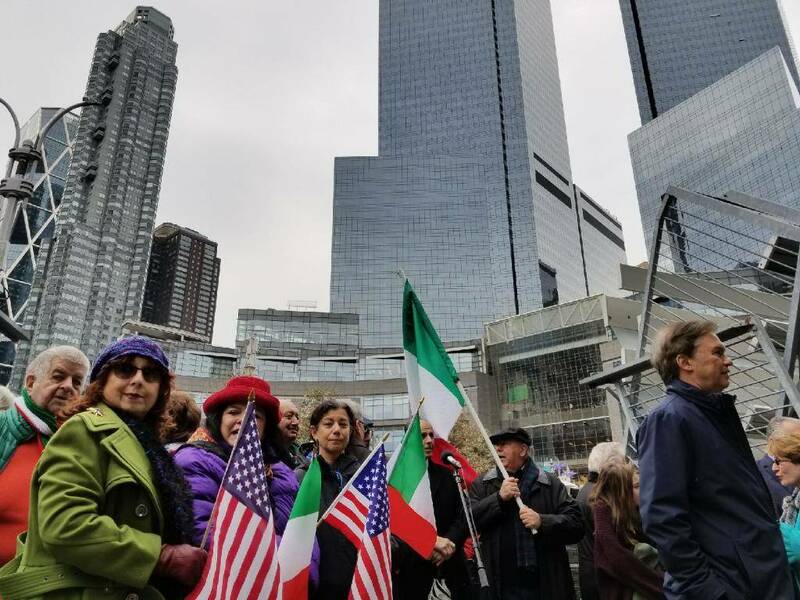 All things considered, the statue in Columbus Circle was dedicated by Italians.” Scelsa stated that the Museum’s visitors come from all over America, and they show their support for the cause that the Italian-American organizations are backing–the preservation of the statue and the parade. Many can’t understand the uproar surrounding the Explorer. Columbus facing destruction in New York? Even the Minister of Foreign Affairs, Angelino Alfano, recently expressed his point of view on the subject. “We continue to consider Christopher Columbus as a part of world heritage and as a prophetic symbol of globalization, which came later. He had the courage to show that he was already able to exist in a global world,” Alfano stated. The hearings are set for November 21 in Brooklyn, the following day in Manhattan, the 27 in the Bronx, and the 28 on Staten Island. Following the public comment period, the dossier will pass into the hands of the Mayor on December 7. If we raise the Columbus discussion on a national scale, what do we do with the District of Columbia or the 54 municipalities and counties coast to coast that carry the great navigator’s name? One of America’s major rivers also carries the name. Additionally, there’s Columbia University and Vice President’s entrance march “Hail, Columbia,” just to name a few examples.